The good news is that you need relatively little equipment when you start playing rugby because we want every child to have access to the sport. For training, children should wear warm and comfortable clothing suitable for the weather conditions on the day. Short, rugby shirt, jumper, tracksuit bottoms, socks, trainers and/or boots are all acceptable. However their clothing should not have any zips. The weather conditions can be wet and windy, so you may want to invest in waterproofs and thermals as we get into the winter months, as it is difficult to enjoy sport when freezing on the field. Mouthguard - your dentist can make one or you can buy one for £6 from Sports Direct and mould it in hot water. Boots - you can buy specialist rugby boots but most football boots do the job. We recommend rubber studs. Please be aware that metal studs are no longer allowed. Studs should be British standard with a Kite mark. If blades are used then they must comply with the requirements of the RFU (Rule 4). 1. 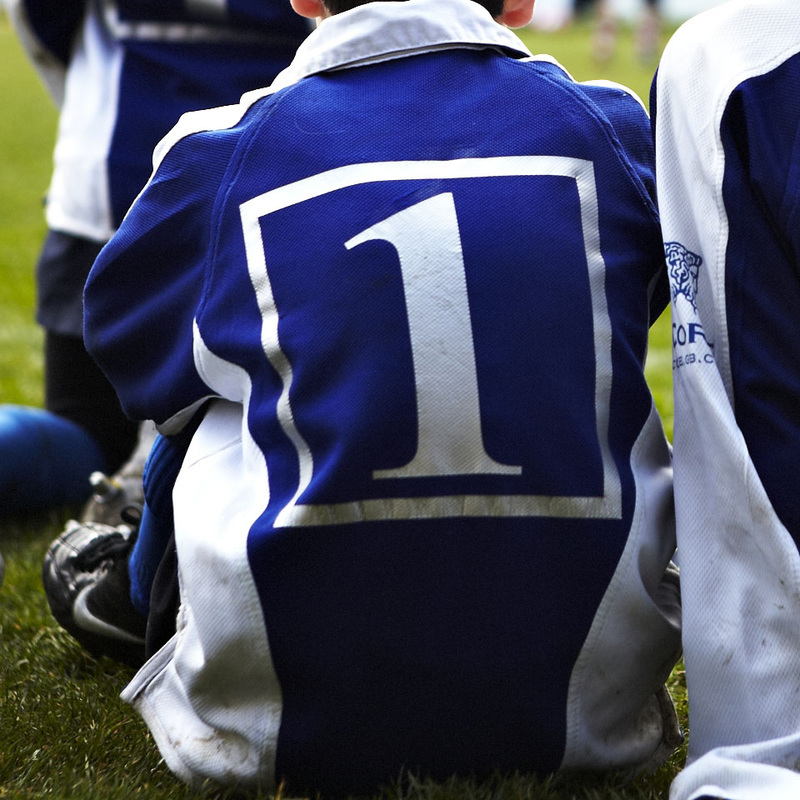 Does my child need a scrum cap? No, scrum caps are not compulsory - it is up to the parent/guardian. 2. Are rugby gloves recommended? Rugby gloves have no safety issues so this is purely optional. Wooly gloves are not recommended as they can be slippery in wet weather. 3. What does my child need to bring with them for training/matches? 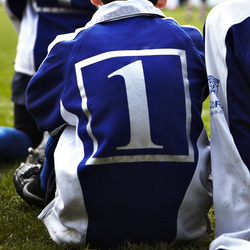 As well as the appropriate clothing, outlined above, your child should also bring a bottle of water, something warm to wear when not playing and a change of clothes if it is bad weather. You might want to provide them with a small snack although there is food available in the clubhouse. 4. Can my child wear glasses whilst playing? In non-contact training and matches (U8 and below), your child can wear glasses, spectacles or specially designed sports goggles whilst training. Players are not permitted to wear any of the above during contact-rugby. 5. Where can I read more about rugby rules and guideline for equipment and clothing? The best place to read about the laws are on the (previously IRB) World Rugby website here. All the regulations for all aspects of the game can be found on the England Rugby website here. If in doubt, your child's coach will be able to give you plenty of further advice. We do carry a small selection of pre loved tops and boots, see AJ at Springhill. Match shirts will be provided on the day.